Feel the sea breeze from our spacious balcony as you enjoy the ocean view! 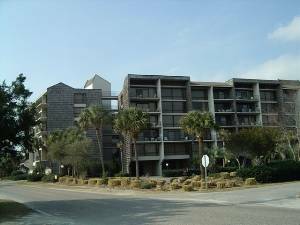 Bright and cheerfully decorated, this two bedroom, two bath Condo is on the top (6th) floor of Litchfield Retreat on North Litchfield Beach (yes, there's an elevator). 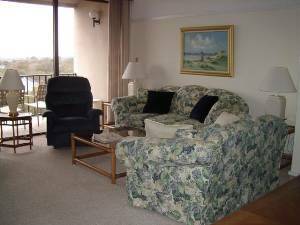 Facing south with views of the ocean, this unit has cathedral ceilings, a large deck, full kitchen and all the amenities to make your vacation a pleasure. Both the living room and master bedroom have TVs with DVD/VCRs. Free high speed cable internet access. Rentals are available Saturday-to-Saturday. 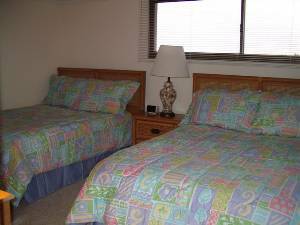 The unit has a queen bed in the master bedroom and two double beds in the second bedroom. Litchfield Retreat offers vacationers a large swimming pool with ample lounges, a barbecue area, as well as laundry and elevator. The unit also comes with a storage locker on the ground floor to store your beach chairs, surf boards, and other equipment. Just one minute from your door is one of the best beaches in the world. 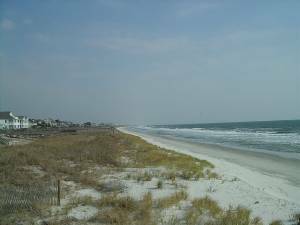 Located in a quiet residential community, nestled between Huntington State Park and Litchfield-by-the-Sea, the beach at North Litchfield boasts fine sand, gentle waves, and a long beach. The location is ideal whether you're looking for family fun, a tranquil beach haven or superb golfing. 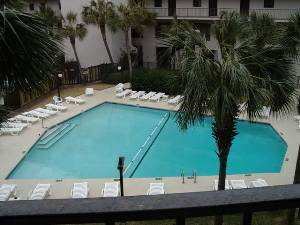 Plus Myrtle Beach, a just a short drive away, offers shopping, shows, water parks and more. Pool, laundry and barbecue are shared. Elevator. Located on the 6th floor, your unit has a great view of the ocean, just across the street. 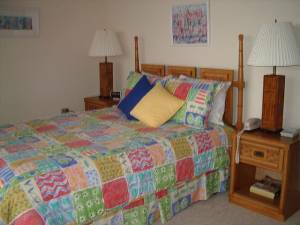 Rental rate includes departure cleaning, but not linen rental or 10% SC tax. Linen rental is available upon request. Monthly rates available during winter.